Kristen L. Rouse has served as both non-commissioned officer and commissioned officer in the U.S. Army, U.S. Army Reserve, and Army National Guard for more than 23 years. She served in Afghanistan in 2006, 2010, and 2012, for a combined 31 months in country. Her roles have included mission planning for resupply convoys to remote combat outposts in eastern Afghanistan and working directly with the Afghan National Army. Her civilian experience has included creating regional and citywide logistics plans and programs for NYC’s Office of Emergency Management and teaching literature and writing as an adjunct professor. 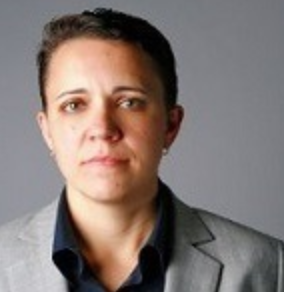 She has written on veteran and military issues for The New York Times, New York Post, Daily Beast, Tampa Bay Times, and other publications, and spoken about her experience as a veteran and her service in Afghanistan on CNN, MSNBC, ABC, and NPR. Her experiences following her return from her third tour of duty led her to get involved in veterans organizations in New York City and to address the needs she still saw in the community by founding the NYC Veterans Alliance. Originally from Florida, she claims New York as home and lives in Fort Greene, Brooklyn.